If you’re moving across the sea, or to a long-distance location, your only option may be to have your car shipped to your new destination. The thought of shipping a car can be scary and stressful, and most people worry that it is expensive, as well. There are several ways to ship your car, and these tips will ease any financial or security worries you may have. Follow these seven steps to decide the safest and most anxiety-free way for you to transport your car to your new home or office location. While it may be tempting to use your car as a portable storage unit during the big move, it may not be wise to leave a lot of personal items in the car while it’s being shipped. Remove everything, including your GPS, Sirius Satellite chips, CDs, media, money, purses, important documents such as registration and manuals, bike racks, spoilers, and more. You don’t want to risk your items being stolen – plus, you may get charged for extra weight, so it’s best to leave the car as empty as possible. Most car shipping companies will ask you to take several precautionary measures before delivering your car to the shipping company. Auto shippers frequently request that the car have less than half a tank of gas, to prevent leakage or damage to the inside of the car. Most professional auto shipping companies will incorporate an insurance coverage as part of the cost of shipping, so you can rest easy knowing that your car is safe and secure. The professional service member will help you inspect your car and mark any changes on the bill of lading. You can expect to receive insurance paperwork as well as your contract and the bill of lading once the delivery is complete. That way, you’ll have a written report of the entire shipment process, from order to delivery. Before calling your nearest auto shipping company, you must know what type of transportation you need to put your car through. If it’s going overseas, then you can contact several ferry shipment companies that will secure your car for the duration of its travel. 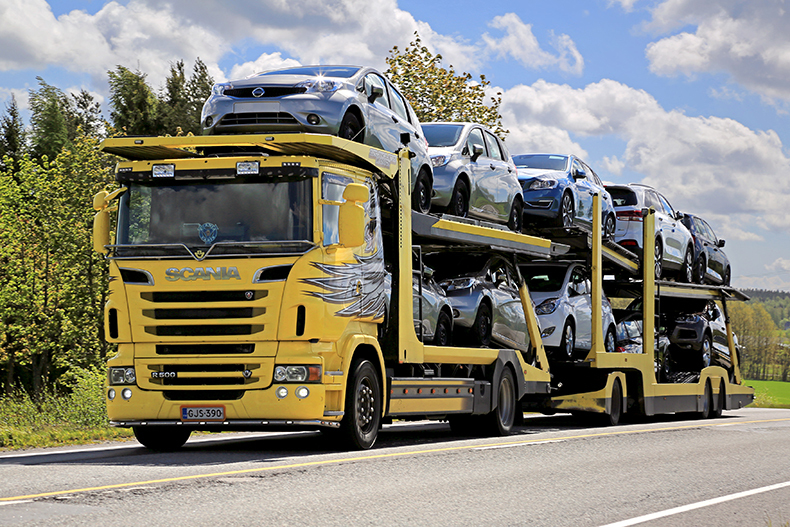 If it’s being shipped by land, then a professional auto shipment company will send a driver to pick up your car and deliver it to your new location. The driver will remain in contact with you during transit to ensure that no incidents occur. If for some reason you are unable to drive your car to its new destination, and need to pay for an auto shipping company, make sure to do your research and get written estimates before ordering a shipment. Professional shipping companies can talk with you up front about what expenses you’ll be covering. During the fall and winter seasons, you can save up to 30% on car shipping because it is considered the “off-season” for car shipments. Typically, you can be paying anywhere from $1,000 to $2,000 depending on the company and duration of your trip. Turn off your alarm and all security systems so the pickup driver can easily access your car. If the alarm goes off, it may be impossible to turn it off without you or your keys. Perhaps the most important step in planning your auto shipment is to be prepared. While most shipping companies can take orders just two days in advance, it is advised to order your car shipment at least two weeks in advance. Take precautions and take your time with research and preparation. Auto companies want you to have everything ready by the time they arrive, so make sure to follow these steps for a safe and successful car shipment. Keep in communication with your driver to prevent any dangerous incidents or misplacements. Follow these steps, and your car will be at your new location in no time.